On 4th November, Neuron took the trip down to London to install a Danley Sound Labs system into the CLF Art Cafe in the Bussey Building in Peckham. The event, one of the Clock Strikes 13 series of events, brought together the labels Boxed and Local Action and featured headliners Mumdance b2b with Sir Spyro, amongst many others. The mid/hi cabinets consisted of the Danley SH46 from their Synergy Horn range. With a 40° x 60° dispersion and 141 dB peak SPL capability, only two per side were needed to cover the audience. Despite weighing just 53kg, this cabinet manages to fit 2 x 12”, 4 x 4” and 1 x 1.4” drivers into a relatively compact point source box. We teamed this up with our recent purchase of 12 Danley TH118 tapped horn sub. With a single cabinet capable of a 143 dB SPL peak and the ability to play down to 40 Hz (-3 dB), 12 was more than enough to shake the venue to its foundations. To power this lot, we used our tried and trusted combo of Powersoft K20s (three) on the bass and Powersoft X4 (one) on the mid/hi. DJ Monitoring consisted of a pair of Danley SM80 moulded synergy horn cabinets run off a Powersoft X4. These contain a 12" coaxial driver with an 80° conical dispersion, making it the perfect tool for artist monitoring. Overall, we thought the system performed well in the space, and we'll certainly be taking this combination out for future events. 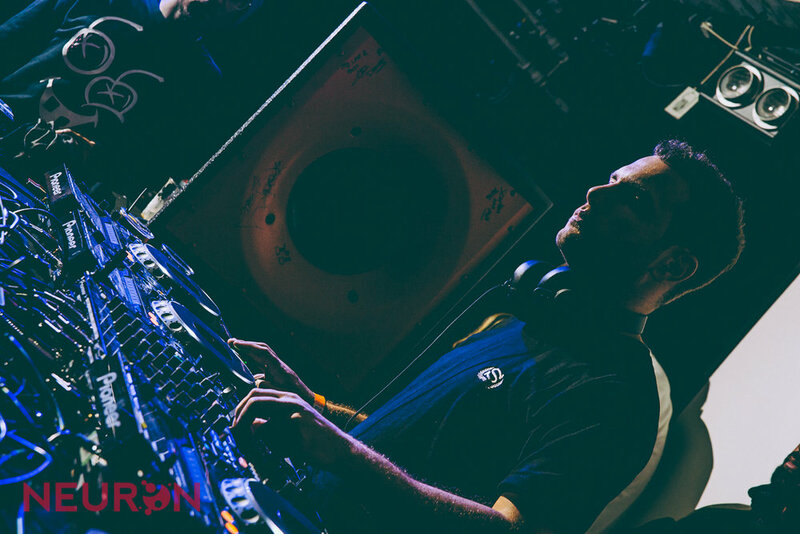 After the event, Mumdance got in touch to let us know what he thought about the system; he said: "I loved playing on the Danley rig, the bass was deep and warm, highs were nice & crisp, monitoring was spot on and aesthetically it looks wicked!". For more info on the systems available from Danley Sound Labs, feel free to give us a call on 0161 408 1545, email us at hire@neuronproaudio.co.uk or use our contact form.